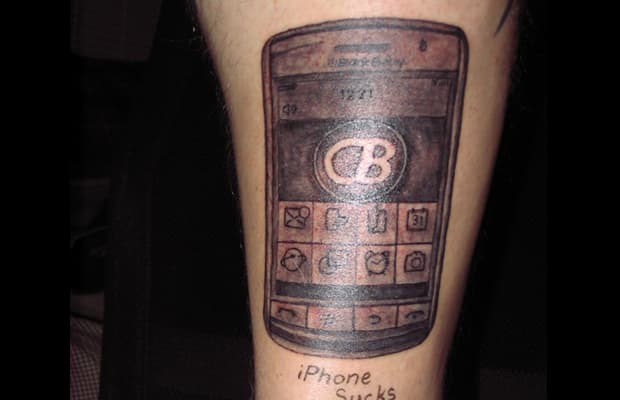 Crackberry ran a “What Would You Do For A BlackBerry Storm?” contest back in 2008, with some guy named T.J. winning the promotion after getting a life-sized tat of the phone on his leg. What’s even more insane is the tattoo artist just so happened to be wearing an iPhone t-shirt the same day he created the design. Had T.J. tested the Storm before hand, he would have opted for a Curve.